Today was scheduled to be pretty low-key since Katie knew we would be getting to bed late after the Above & Beyond show. We actually slept until 1pm! With sleeping-in and it being rainy outside, we decided to skip visiting Market on Main and instead grab a quick lunch and go to the Apartheid Museum. We stopped at a mall, and ate at the first/only fast food we saw – a chicken place called Chicken Licken. Katie had a chicken pita and fries and JT had a burger and fries (R50.80 total, Visa accepted). We paid R4 for parking in the garage for less than an hour, and then used a map we had loaded onto JT’s phone while on wifi to get us to the Apartheid Museum (which strangely required you to go through the gates of Gold Reef amusement park). We arrived at the museum at 3pm, and Katie knew it closed at 5pm (Hours: 9a-5p. Open daily except Good Friday and Christmas Day). This meant our visit would have to be quick. Entrance was R70/person (Visa accepted). 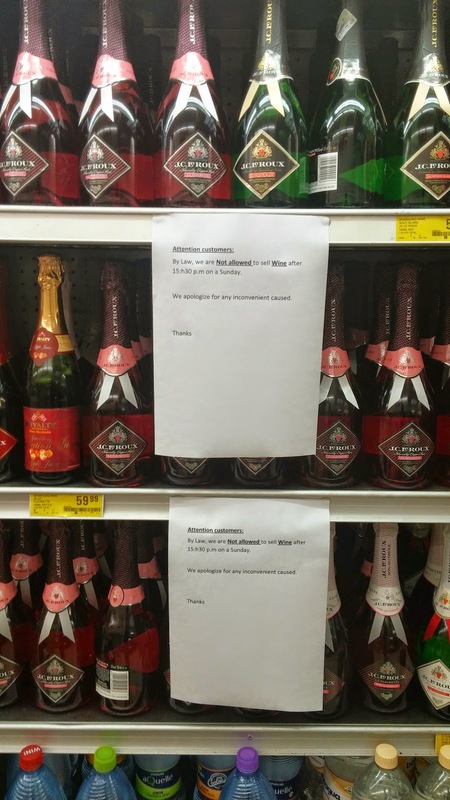 Apparently you can buy a R15/person audio tour when you buy your ticket, but we did not do this. The pamphlet we received at the entrance said to just read the black boards if you want to finish in 2 hours. We mainly did this, skimmed the titles of the gray boards, and tried to at least glance at most of the pictures. We did not stop to watch any of the videos. We also spent about 30 minutes in the special/temporary Nelson Mandela exhibit. 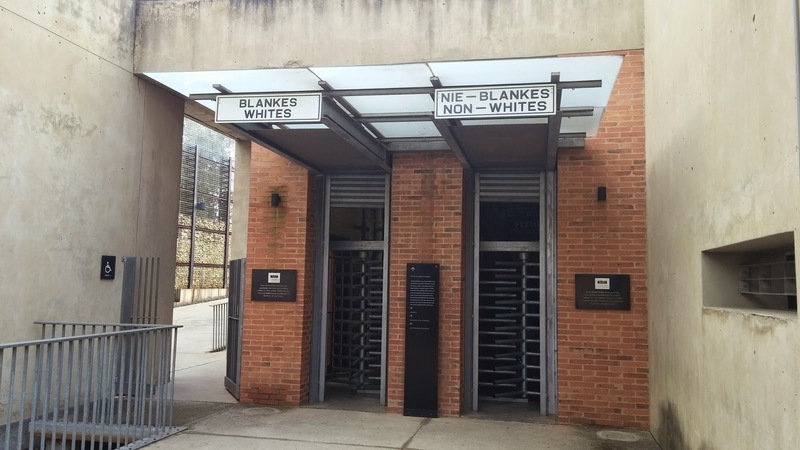 The Apartheid Museum had so much information. If you are the type that likes to read everything and take time to digest, it could take around 6 hours to get through the museum. We certainly would have liked to have had more than 2 hours! It was confusing to navigate around the museum, as it was difficult to determine what order to read the exhibits in (especially in the temporary Nelson Mandela exhibit) and the arrows on the black signs indicating what direction to walk were confusing. 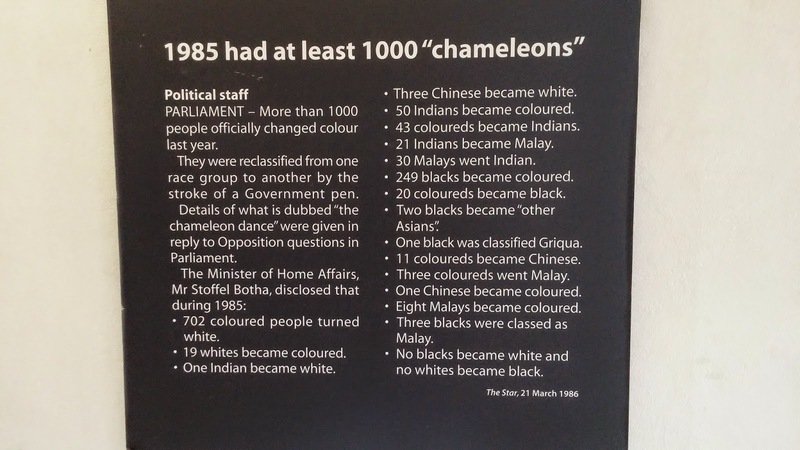 Katie also left the exhibit understanding that more people died after 1990 when negotiations to end apartheid began than between 1948 and 1990. That seems like a crazy statistic, and she did not read anything at the museum that really answered ‘why’. In fact, she learned more in a quick look through the Wikipedia article. We would still recommend visiting the museum, but allow at least four hours and be ready for the visit to likely encourage you to do your own research on any lingering questions the visit encourages. 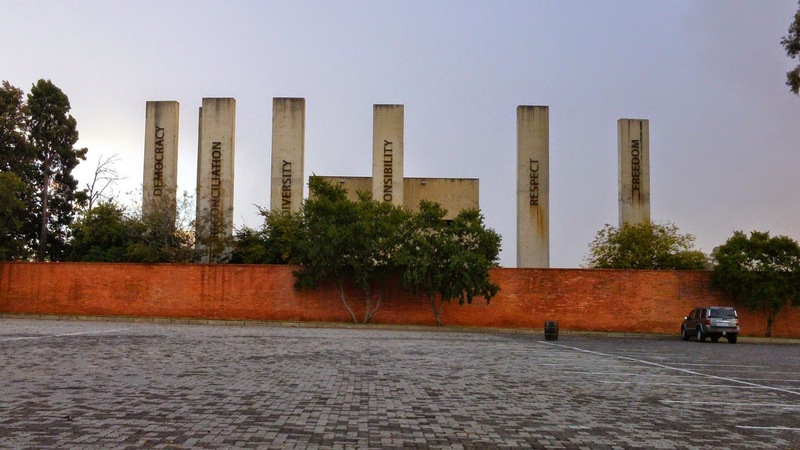 We left the Apartheid Museum when it closed at 5pm, and headed to a grocery store near Melville. We stocked up on snacks and meals for Kruger (R404.8 for a solid amount of food and drink, Visa accepted), but comically forgot bottled water! We did not realize the grocery store had closed at 6pm until they started turning off the lights around 6:10pm. Opps. After grocery shopping, we headed back to Gooseberry. We settled in, and JT called VodaCom to try and get both the lack of data and the lack of an international calling plan (both of which we bought) solved. After multiple calls, the longest lasting 45 minutes, the data problem was at least fixed. This will make navigation so much easier! We decided to go eat dinner out, so we left Goosberry around 8:50pm. 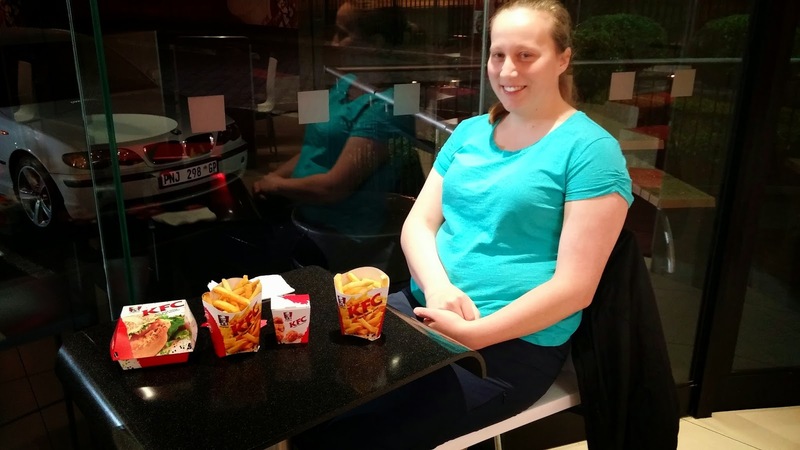 However, it seemed most placed closed at 9pm (or earlier), so after having trouble finding anything open, we eventually had dinner at a 24-hour KFC (R33.8 large “chips”/fries, R29.9 Zinger Burger for JT and R12.9 “small pops” for Katie). It actually was not bad. The remainder of the evening was spent blogging and relaxing. Soweto tomorrow! As a side note, printed directions from Google Maps (or really any navigator source) will not get you through driving around Johannesburg as many streets and turn-offs are not marked or not marked as they are in Google Maps. You really need a GPS, or a good map and a sense of adventure.